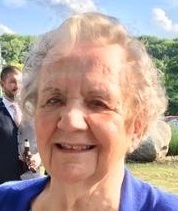 Dorothy (Horner) Frenette, 92, passed away April 5, 2019 surrounded by her family. Born on February 8, 1927 to the late Francis and Evelyn Horner, she lived in the Springfield area throughout her life. She loved and was loved by many, lighting up a room with her smile, energy, and left an imprint on your heart. Dottie graduated from Commerce High School in Springfield and St. John’s School of Business. In 1950, Dottie married the love of her life, Robert Frenette. They settled in Agawam where they raised their family and were involved in the Boy Scouts and Girl Scouts. Dottie volunteered at Storrowtown Village for many years giving tours and worked in The Little Red School House. Dottie and Bob were avid square dancers. A communicant of St John’s the Evangelist Church in Agawam, Dottie taught CCD classes for many years and was a member of the Women’s Club. Dottie was predeceased by her husband, Bob, in 1971. Dottie carried on to raise their children and remained very involved and connected with the community. She enjoyed playing with her grandchildren and great grandchildren to whom she was affectionately known as “Ma-ah”. She leaves her loving children, Barbara Kunze and husband Chuck of Easthampton, Betty Morin and husband Josh of Palmer, Jim Frenette and wife Judy of Southwick, Mary Mitchell and husband Steve of Ohio, and John Frenette and wife Allyson of Utah. Her beloved 11 grandchildren and 15 great grandchildren will miss her hugs, playtime, and pecks on the cheek. She is survived by her brother Donald Horner and wife Jackie of Enfield, and sister Margie and husband Roger Hughes of Corinna, Maine, many nieces, nephews, great nieces and great nephews. She was predeceased by her brother, Gene Horner and grand-daughter Michelle Morin. 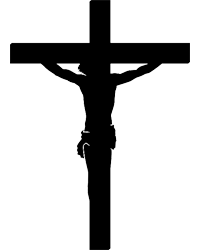 A liturgy of Christian Burial will be held Thursday at 10 am in St. John the Evangelist Church, 833 Main St., Agawam. Burial will follow in St. Thomas Cemetery, Kings Highway, W. Spfld. Calling Hours will be held on Wednesday from 5 to 7 PM at Toomey-O’Brien Funeral Home, 1043 Westfield St, W. Springfield. In lieu of flowers, memorial donations may be made to The Arbors at Westfield, Reflections Unit, 40 Court St., Westfield, MA 01085. Special gratitude is given to Talin Ganemian and her staff at The Arbors, for the special care, compassion and love they so freely gave to Dottie and her family. Dottie’s family also expresses their thanks to the staff at Sea Breeze Unit at Heritage Hall East.